When I listen to Minnesota band Poliça (pronounced Police-a), I imagine myself being in a smoky bar with dimmed lights, black clothes and a pint of Guinness. By myself. That can be a very dark scenario for some, literally too, but it isn't when you have the world's two best things complementing each other. Those happen to be great music and great beer. Funky bass lines, intense drumming, Mac, R&B- flavored lead singer with the grace of a ballet dancer.. what else do you need to know? Aa yes, the band released their debut album Give You The Ghost a few months ago. Here are the two best songs, which just happen to start and end the record. The rest in the middle, they do a pretty good job in keeping me in the bar. 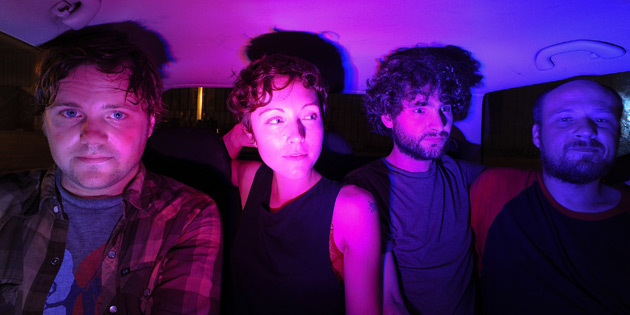 Where does Poliça take you?